Imagine a cool summer evening. The sun has gone down, but your closest friends and family are still gathered in your backyard enjoying the company and beautiful weather. A warm fire burns in your stone fire pit. The kids are toasting marshmallows and your best friend is sneakily stealing a little chocolate meant for the s’mores. This could soon become your reality. 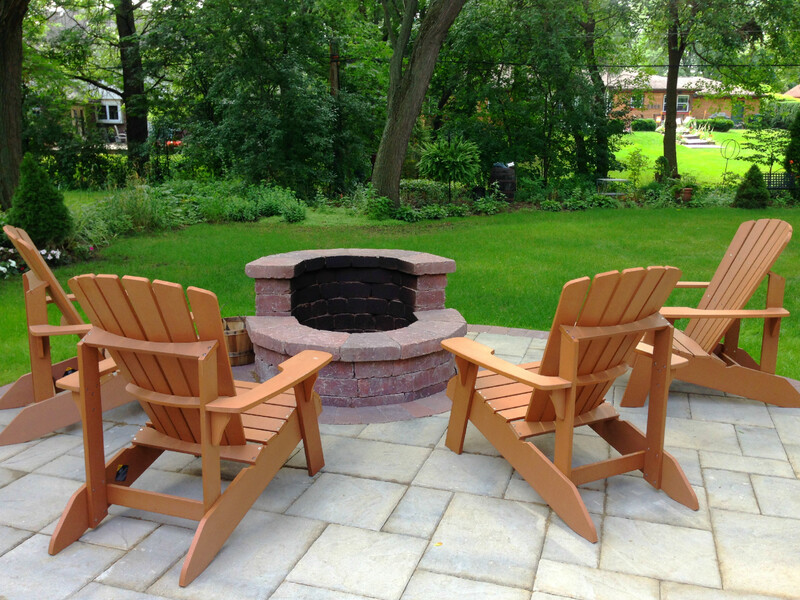 Adding a fire feature to your Chicagoland patio is an excellent way to create a welcoming outdoor space that encourages your family to spend more time together outside. A glowing fire brings a gentle ambiance to your backyard, whether you’re laughing and sharing stories with a group of friends or curled up cozily with your partner. 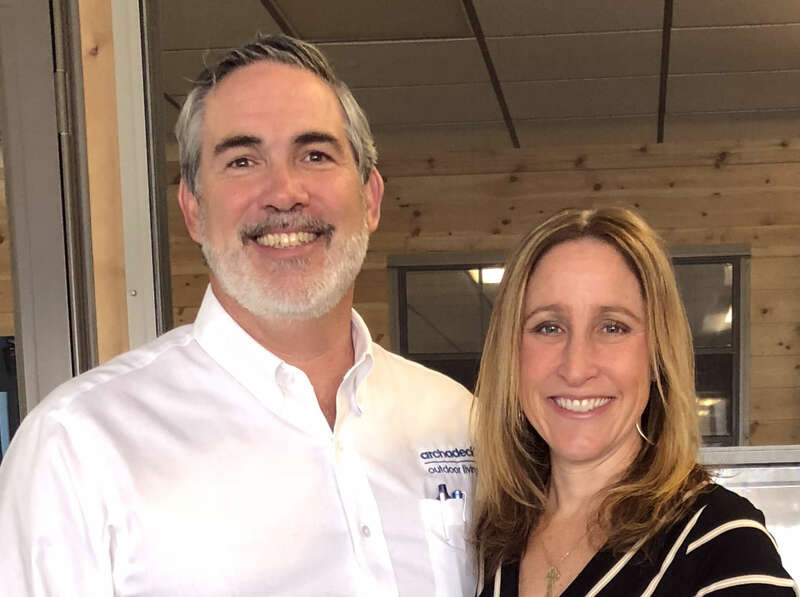 This all sounds great, you may think, but how do you know you’re picking the right fire pit or fire feature for your yard and your lifestyle? That’s where we come in. Archadeck of Chicagoland’s experienced design consultants walk you through the design process. 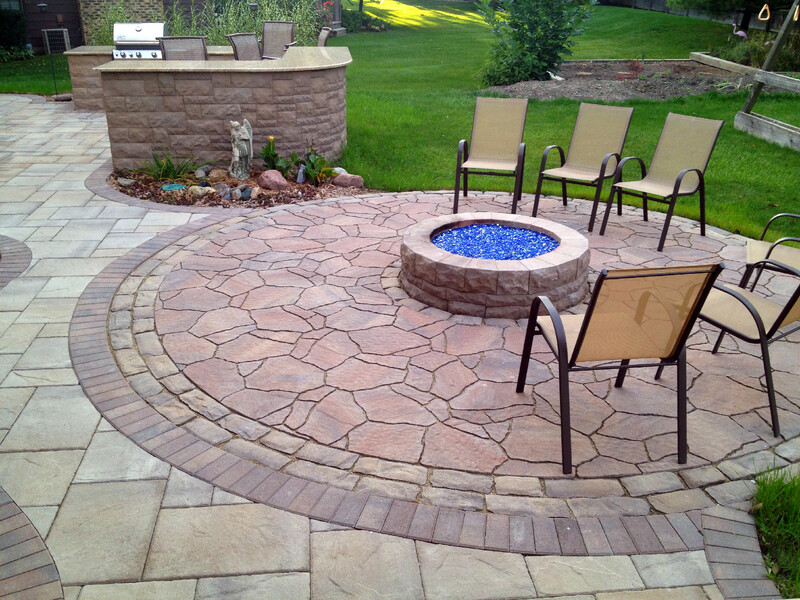 By keying in on important factors like placement, materials, children, and pets, they are able to offer you design options that will bring your fire pit design ideas to life while ensuring the design is sturdy and safe. As you begin looking at the design process, here are a few important factors to consider as you determine which fire pit is best for your lifestyle. Wood burning fire pits create an authentic campfire atmosphere. The smoky aroma and the crackling wood leaves you feeling as though you’ve left the city behind. Natural gas fire pits give you an easily controlled fire with the ease of flipping a switch. Natural gas burns significantly cleaner than wood and creates less smoke or flying sparks. These fire pits are a great option for environments where children or pets are present or for those bothered by smoke. Creates a relaxing atmosphere with little effort. A popular fire pit trend is fire glass. These glass beads instantly transform your outdoor living space with flames dancing above the reflective glass. Easy to work with, this heat tempered glass is processed through a tumbler to prevent sharp edges. Because it doesn’t burn or break down, you can use them several years. Multiple sizes and colors of fire glass for you to choose from. Tempered glass chips last longer, do not burn, melt, or discolor. Radiate 3-4 times more heat with its reflective surface than wood or ceramic logs. As with all glass products, there is the risk of breaking pieces if mishandled. When re-installing after moving, there may be some glass sediment or broken pieces at the bottom of your container. If you’re considering adding a fire pit or other outdoor living space to your backyard, we’d love to hear from you. You may call us at 847.496.4333 or sign up for a Free Design Consultation We look forward to speaking with you.